For a nation that brought the world Chartism, the Suffragettes, the Tolpuddle Martyrs, and so many other grassroots social movements, Britain rarely celebrates its long, great tradition of people power. This story and afterword are taken from Protest: Stories of Resistance. In this timely and evocative collection, twenty authors have assembled to re-imagine key moments of British protest, from the Peasants' Revolt of 1381 to the anti-Iraq War demo of 2003. Written in close consultation with historians, sociologists and eyewitnesses - who also contribute afterwords - these stories follow fictional characters caught up in real-life struggles, offering a streetlevel perspective on the noble art of resistance. 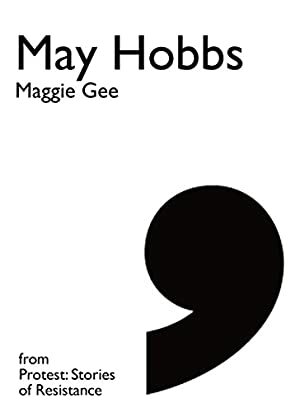 This story by Maggie Gee was inspired by real-life feminist figure and activist, May Hobbs, who formed the Cleaners Action Group (CAG) in 1971, determined to improve the pay and working conditions of all cleaners, especially night cleaners, across London and beyond. Her dream was a trade union branch of their own in the Transport and General Workers Union (TGWU), run by the women themselves. The story is accompanied by an afterword by Sally Alexander. Log In to track Sally Alexander on eReaderIQ. to be notified each time the price drops on any book by Sally Alexander. to stop tracking Sally Alexander. We started tracking this book on July 18, 2018. The current price of this book is £0.99 last checked 13 hours ago. We last verified the price of this book about 13 hours ago. At that time, the price was £0.99. This price is subject to change. The price displayed on the Amazon.co.uk website at the time of purchase is the price you will pay for this book. Please confirm the price before making any purchases.